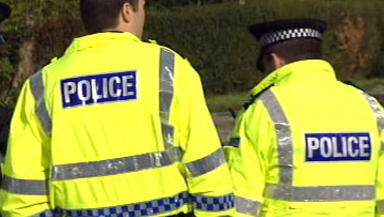 A 41-year-old man suffered serious injuries after an incident in Aberdeen on Tuesday. Police: Attended incident in George Street (file pic). Three people have been arrested in connection with the alleged attempted murder of a man in Aberdeen. The 41-year-old suffered serious injuries in an incident in the city's George Street at around 8.20pm on Tuesday evening. He was taken for treatment to Aberdeen Royal Infirmary, where he remains. Police Scotland said two men, aged 27 and 33, and a 36-year-old woman have been arrested over the incident. All three are local to the area. Detective inspector Allen Shaw said: "Inquiries remain ongoing and we would like to thank members of the public who have assisted us so far."